Get your copy of Alia’s Notes today! If you know someone who can benefit from Alia’s Notes, gift your purchase to them by using their address for the postage details. Not sure if Alia’s Notes is for you? Check out some of the frequently asked questions about Alia’s Notes below. Q: Who would benefit using Alia’s Notes? A: Mostly clinical students as well as pre-clinical medical students. Also for lecturers and doctors who wish to teach students and need visually-appealing materials to explain. Q: What exactly is inside Alia's Notes? 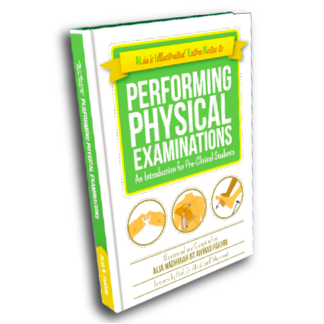 A: The book consists of 6 chapters, outlining the basic physical examinations for General Examination and 5 systems. Each system is further divided into the examinations that needs to be done. Q: What can I expect from using Alia’s Notes? Q: You can expect that your thought flow process will be more organized. This is extremely important because physical examinations are first learnt step-by-step to ensure that no examinations are left out. You can at least know the important points that go with the physical examination- which is what disease may be the diagnosis and how to elicit the sign. Q: How do I know Alia's Notes is for me? A: If you are a medical student, you know that medical students are in need of quick and easy references - helpful when information is presented in graphical maps, which is done in this book. Q: I have tried other notes but it’s not as effective. How will Alia's Notes help me? A: The notes are organized with checklists at the beginning of each chapter, and also includes a page for your own personal checklist. Headings make it clear and small images at the bottom of every page provides easy navigation. Each examination also includes straightforward points on the definition, reasons why the examination is done, and illustrations on how to elicit the signs. 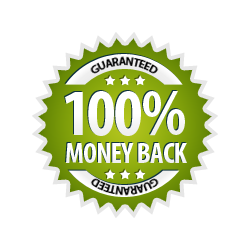 We offer a 100% money-back guarantee. If you are unsatisfied with Alia’s Notes, just let us know within 30 days of your purchase and we will refund you with no questions asked. So go on and make your risk-free purchase today.